National Tenant Services (NTS) approached us with a request to develop a comprehensive CRM system that would allow them to manage leads and monitor their sales process. They needed multiple user roles, each with different levels of security and permission levels. NTS is a national and international tenant relocation service provider. They work with clients to find an ideal home, also helping with mortgage services and moving services like cleaning and packing. When NTS came to us their admin systems were in desperate need of a unified solution. Each department was working with a thrown-together set of systems and programs and none of them communicated well with others. This created huge challenges for everyone – from the sales team to customer service to branch managers. NTS needed a complex system largely based on user roles. Their database was made up of employee users, both internal and from an externally-run call center, as well as the actual properties they were managing. Developed over Twitter Bootstrap framework, the solution was accessible on all the devices eg desktop, mobile phone & tablets. That really made it easier for users to retrieve the data on the go. With so many different user-types, we collected a LOT of feedback from users about their ideal system. These ideas didn’t always come together perfectly, but we took the time to understand exactly what each team was looking for and created a system that fulfilled these requirements while working seamlessly as a single, comprehensive solution. Every admin level had access to their module and users underneath them. While the super-admin role gave access to every level, other admin areas contained all the requirements that that admin needed to manage their team. Feedback from clients & customer reps about our system has been fantastic. Their entire sales and service process is streamlined within a single CRM application, and users in every role have access to every piece of data they need. 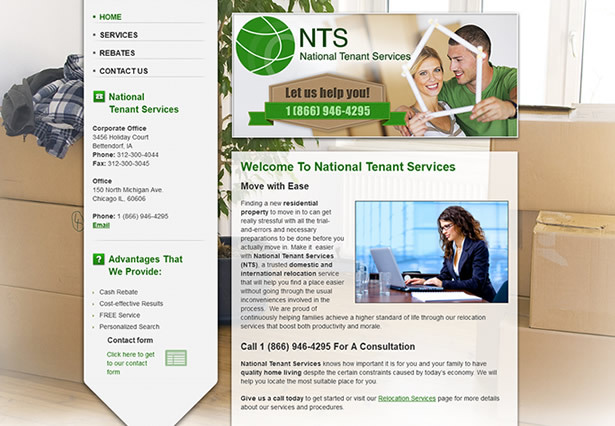 NTS is able to increase the number of conversions by 200% by efficiently able to input and follow ups the leads. With the sales and customer service teams able to communicate more efficiently customer feedback has improved, and the number of complaints being escalated has dropped by almost 60%. On the property management side, the system makes it easier to categorize properties and find better solutions for clients. Successfully completed transactions are up 15% since launch. We’d known for years we needed a modern comprehensive system, but were always worried about the cost and if our users would actually use it. Galaxy’s team worked with us to guide us through the process and make sure we were getting everything we needed in our system and that it would make sense to our managers and employees. Everyone is thrilled with it and we’ve seen customer satisfaction improve and our deals increasing as well!